You know how I absolutely love a good story. Reading or listening to them, I will always crave something to really get into. When I read that BookBeat were looking for bloggers to work with them and promote their Audiobook service I jumped at the chance. Sometimes, as a mum, it’s hard to find time to read. I try and make time everyday to read a little, sometimes a lot, but if I can’t then I make the most of Audiobooks. I’ve been using BookBeat for a couple of weeks now and I am really impressed with the service. BookBeat started in Sweden in 2015 and has developed a great range of fiction and non fiction on their online streaming service. You pay a monthly fee to listen to the content which can be listened to through the free App. You can listen through WiFi or download to a device for easier listening. The RRP is currently £14.90 and can be cancelled at any time. BookBeat are also available in Finland and launched here in the UK in March 2017. We have all really enjoyed listening to the content available, there are so many Audiobooks to choose from which is fantastic. We’ve loved listening to some of our favourites like Game of Thrones and I was so happy and suprised to find Kafka on the Shore there too. In the evenings I’ve settled Evie down with a story from the Children’s section. She’s really loved listening to the Beatrix Potter collection and Five Children and It. We can’t wait to listen to more. BookBeat is going to be of great use to us over the coming months. I love listening to a story whilst I’m laying in bed and drifting off. I’ve also found myself listening on the way up to school as it’s quite a long walk. I can’t wait to find some fantastic titles to listen to whilst we’re on holiday in July. There is always time to listen to all the lovely audiobooks that BookBeat have to offer. I’ll listen any time of day, whilst working or relaxing. I’m really happy with the amount of audiobooks available on BookBeat and I love that you’re not restricted and can listen to as many titles as you want whilst your subscription continues. 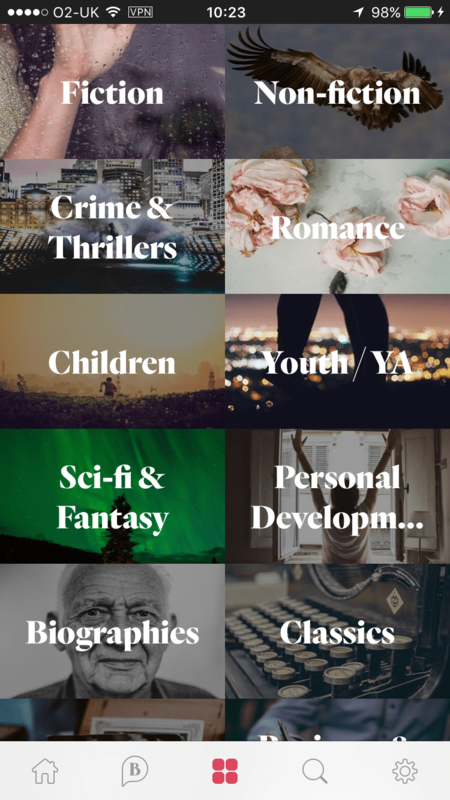 BookBeat are very generously offering my readers a one month free trial to their service so you can test it out for yourself! What are you waiting for? Do you like listening to audiobooks? Do you have a favourite? Disclaimer: I have received a years subscription to BookBeat in exchange for this feature. All opinions remain my own.